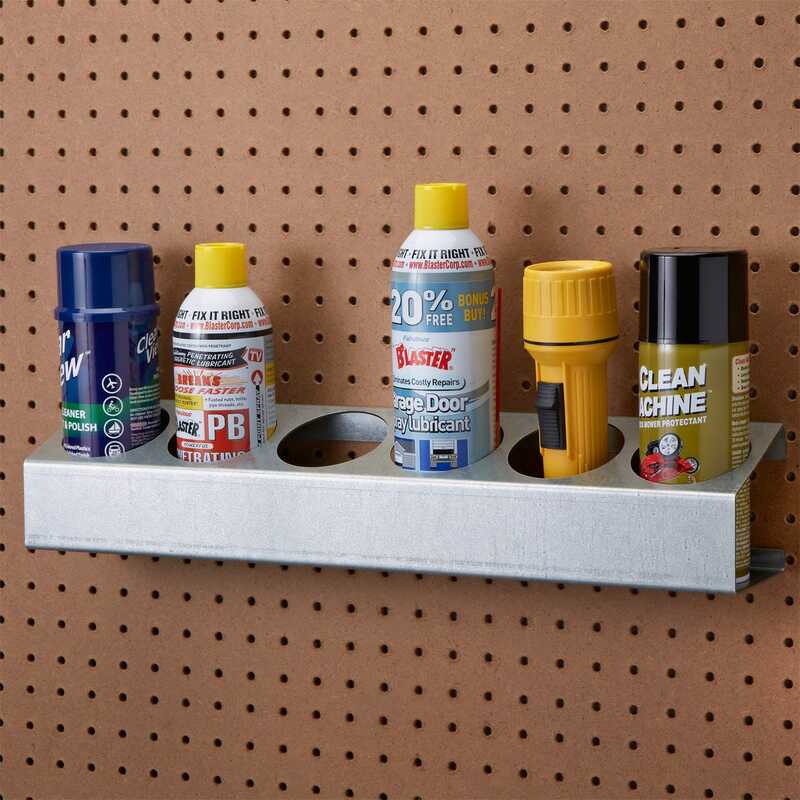 Organize your cans with our Aerosol Can Rack. It will hold six cans up to 2 3/4" dia., and mounts to the wall or any flat surface using the pre-punched holes. Solid flat base lets you place it on a shelf or workbench, or inside a cabinet. Sturdy one piece galvanized steel construction. Measures about 20" long. Made in the USA. This is a must for a shop. It keeps the cans in perfect order. Very good way to keep cans organized and at your finger tips. Neat and orderly display. Thanks for the review, Drew! I have a a few of these in my barn and they've held up really well in the elements. Just hang those cans up! Great for workbench and peg board application.tidies up those loose cans but keeps them within arms reach. The items were exactly what I wanted and ordered. This is exactly what I was looking for. No more looking for cans or knocking cans over, plus it's on the wall not the woork bench.